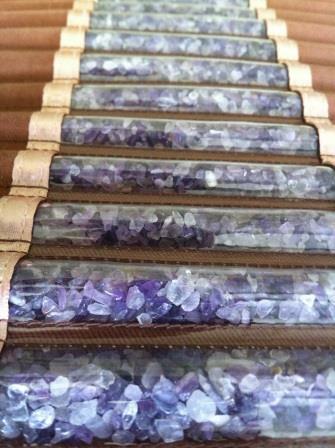 Come to Lightworker’s Sanctuary and enjoy remarkable health benefits through advanced technology…Amethyst BIOMAT! The core of the BioMat technology is a combination of far infrared rays, negative ion and the conductive properties of amethyst channels. These three powerful health stimulators are combined in a single, easy-to-use product with remarkable benefits. It’s a safe and natural way to absorb healing energies. It will bring temporary relief from minor spasms, minor sprains, minor strains, minor joint pain associated with arthritis, minor muscle pain and much more. This highly effective therapy is now available at a wonderful introductory price so you may incorporate easily into your day as the BioMat has much to offer: Click Here for list. Enjoy your experience: $20 per 30-minute sessions…Introductory Price! Includes auric clearing,crystal healing mask and soothing music.